Fountain basins are a must for pondless water fountain styles. Pondless water fountains allow water to overflow into the ground instead of into a visible stone basin. Pondless water features look more natural because the water is simply flowing into the ground. When shopping for a pondless basin, choose one that is larger than the diameter of your fountains overflow footprint. The basin will be hidden, but will collect the water that overflows from the fountain. The basin can be hidden with pebbles, rocks or even some types of fabric. 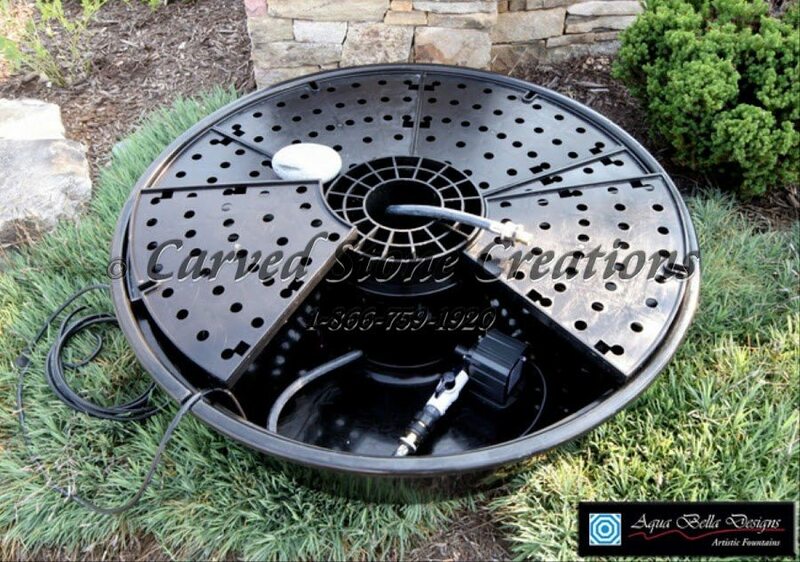 View our full selection of pondless basins. Basalt column fountains are an ideal design for a pondless basin. The water bubbles over the edge of the columns and flows down the stone and into the ground. The flowing water sinks into the ground for a natural look that complements the rustic style of the fountain columns. 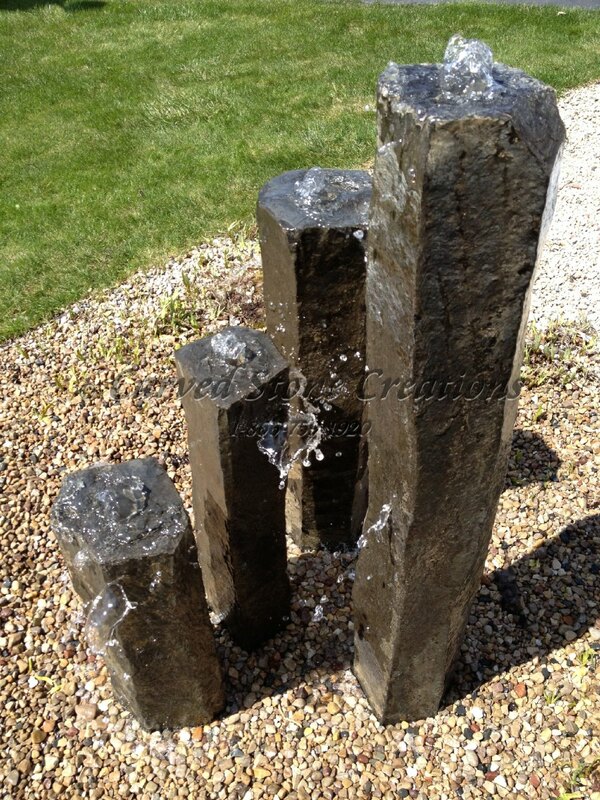 Take a look at our basalt fountain selection. Pondless basins work great with classically styled fountains, too. There are a variety of tiered fountain styles that give a classic look, but have no visible basin. The water flows over the edges of several tiers of the fountain and ultimately into the ground. View more classic tiered fountain designs. Nothing gives a more natural look than a boulder fountain with a pondless basin. The water bubbles over the surface of the natural boulder and into the pondless basin in the ground. Some boulder fountains can even feature other stone elements, like a floating sphere (shown on the fountain below). Take a look more natural stone fountain designs. Interested in learning more about pondless basin fountains? Please contact us.